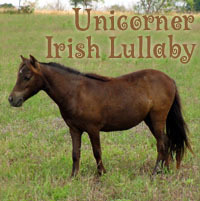 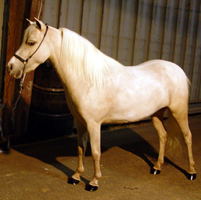 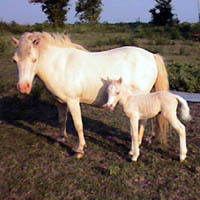 Lullaby was in our broodmare herd, and produced two beautiful overo fillies for us. 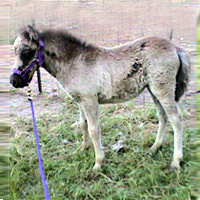 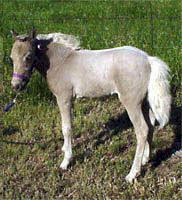 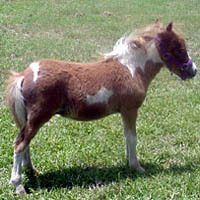 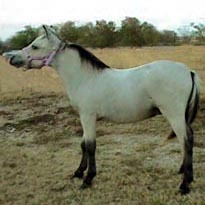 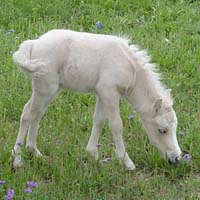 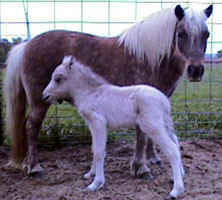 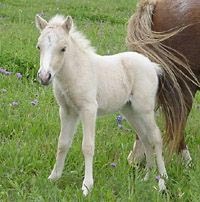 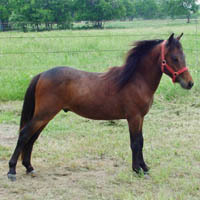 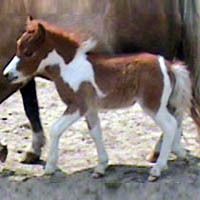 She now lives in Ohio with several other Unicorner miniature horses. 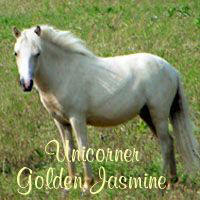 Jasmine joined our broodmare herd and has had beautiful foals! 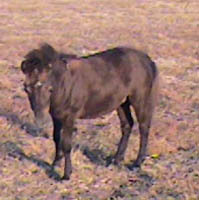 She passed away in 2011. 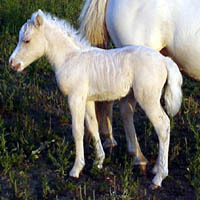 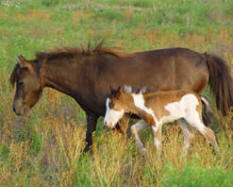 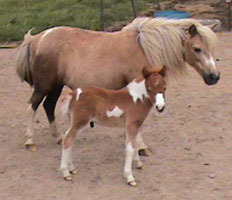 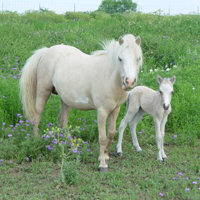 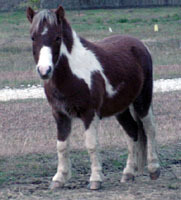 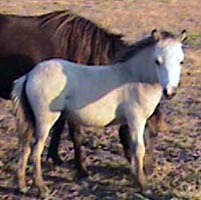 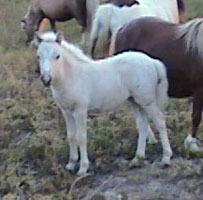 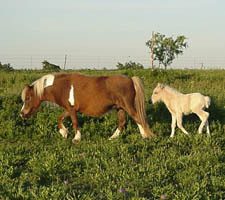 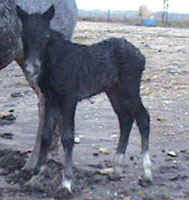 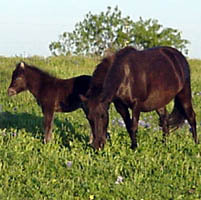 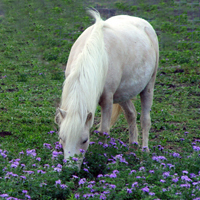 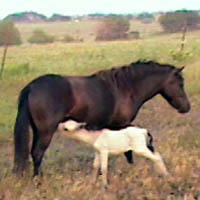 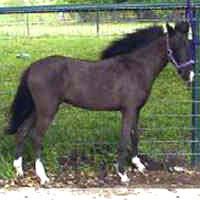 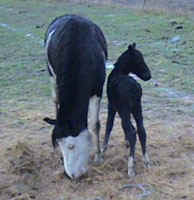 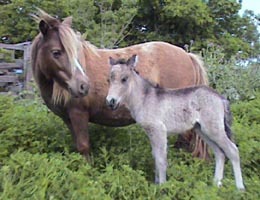 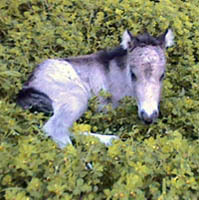 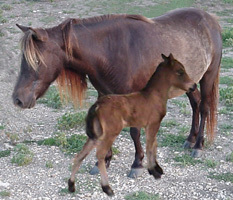 Heather joined our mare herd, and had several beautiful foals. 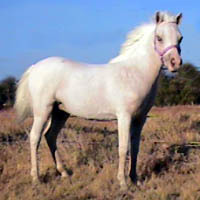 She has been sold and now lives in Abilene, TX. 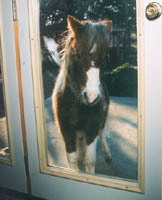 Koi Boi has a new home (and he wants IN) with the family of Kerry Weaver in El Reno, Oklahoma. 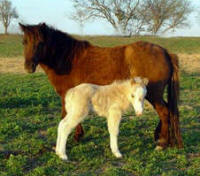 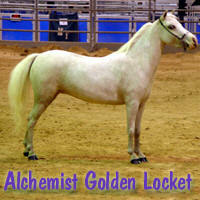 Locket has joined our broodmare herd and has given us several beautiful foals! 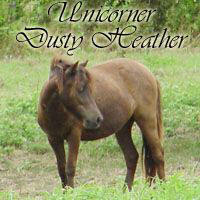 We consider her the best we produced!